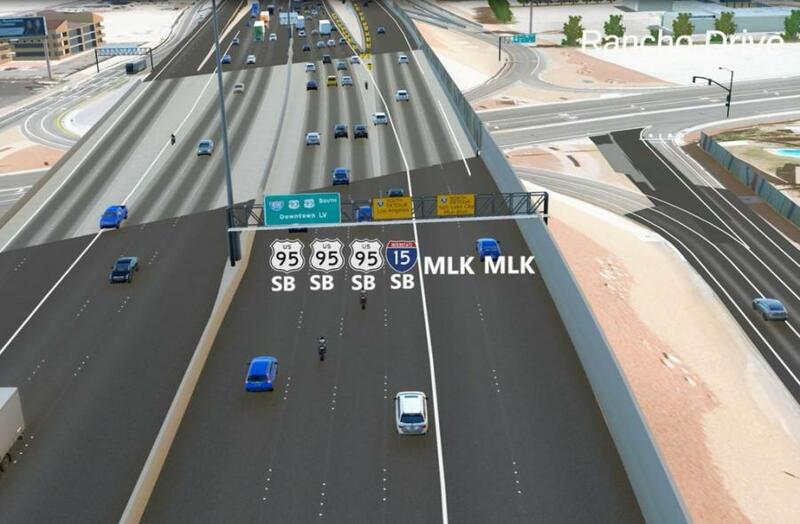 The U.S. 95 SB to I-15 SB ramp was shifted to a one-lane detour. 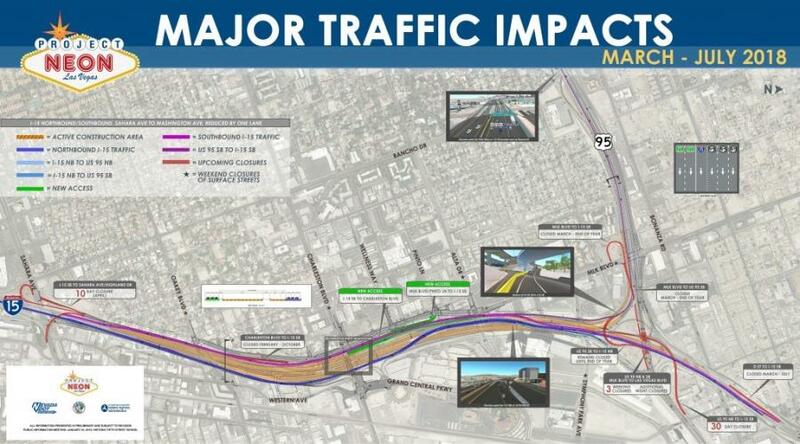 NDOT recently unveiled Project Neon's third and final major phase of work, known as “The Main Event”. 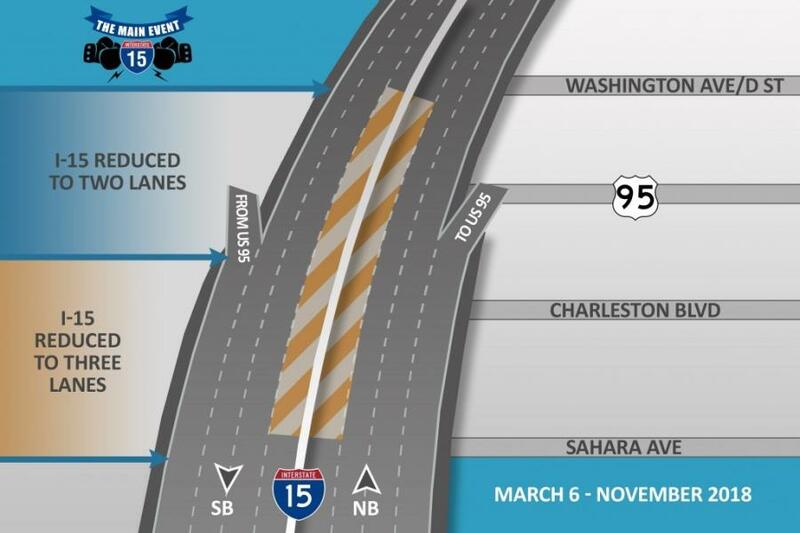 Beginning the first weekend in March, I-15 traffic was rerouted and reduced by one lane; the U.S. 95 SB to I-15 SB ramp was shifted to a one-lane detour; the MLK/Pinto on-ramp to I-15 SB opened; and construction on I-15 — which will continue for the next 10 months — will shift into high gear. For more information, visit ndotprojectneon.com/.